Nominee for the prestigious Spiel des Jahres Award. 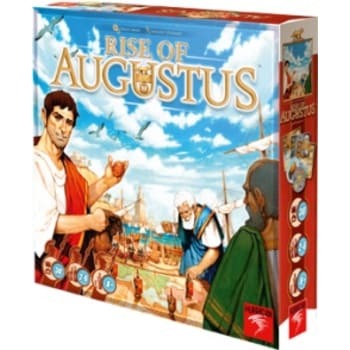 Serving the 1st Roman Emperor, Augustus, you will need to mobilize your legions to control provinces of the Empire and its senators to ultimately obtain the title of Consul. The aim of the game is to earn as many points as possible before any players has taken control of seven objectives. Throughout the game play, players must strategize so as to manage the risk of claiming the rewards that are available to them in order to maximize the points gained. Players also have the opportunity to wreak havoc with their opponents by causing them to lose some of their legions or objectives, thus foiling their plans on becoming the next Consul!